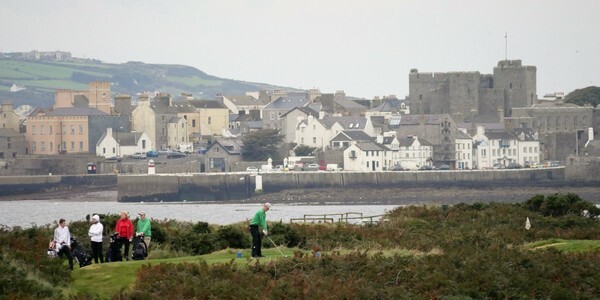 Golf has been played at Castletown since 1892 when Old Tom Morris designed the course. 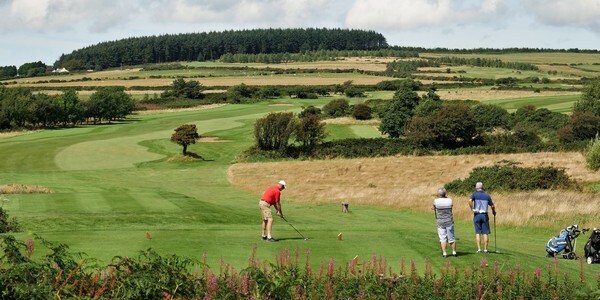 The course in its present form was laid out by golfing legend Mackenzie Ross in the late 20s and early 30s and provides some of the purest links golf anywhere in the British Isles. The seventh hole is named the Race Course because, there, a century and a half before the first ever English Derby, the then Earl of Derby held the first ever Manx Derby over three furlongs. This was also thirty-nine years prior to the Newmarket race, which has been proclaimed to be the oldest horse race in existence. 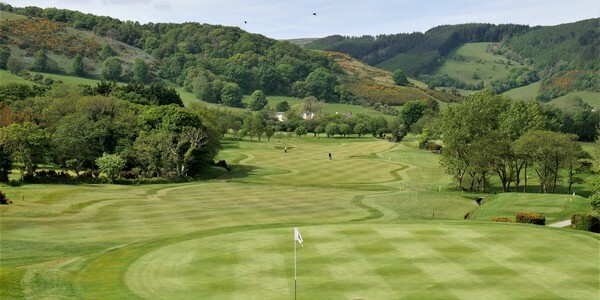 A championship course presenting some real challenges at over 6700 yards off the blue tees, there are some carries to frighten the best, yet off the yellow society tees there is scope for the club golfer to perform as well. 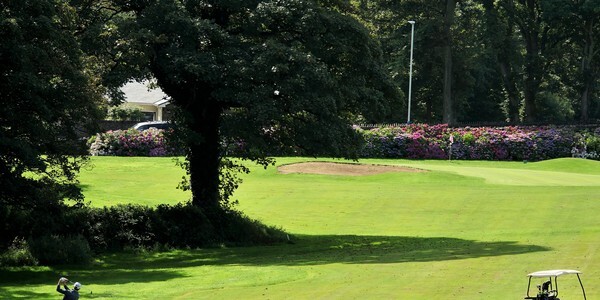 The club has held a number of classic championships, the most notable being the PGA cup matches against the USA in 1979. 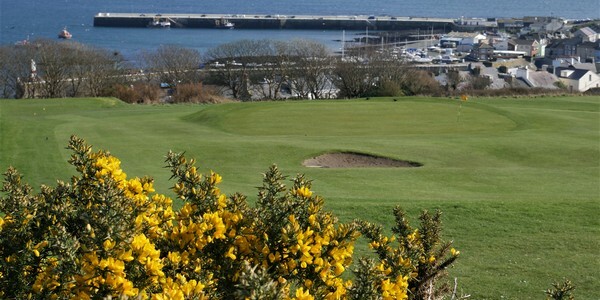 With water on all sides and two magnificent bays carving great swathes along each flank, Castletown is a dramatic and wonderfully natural site for a golf course situated on the Isle of Man. 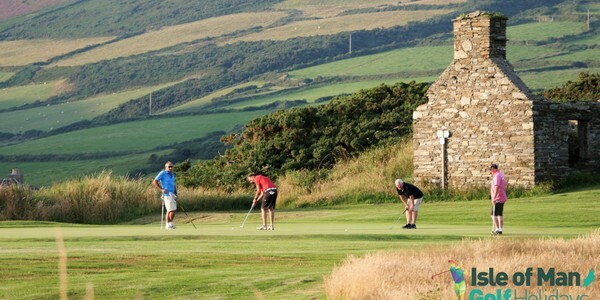 The course itself matches the setting, easily qualifying in the top echelons of links courses in the British Isles. 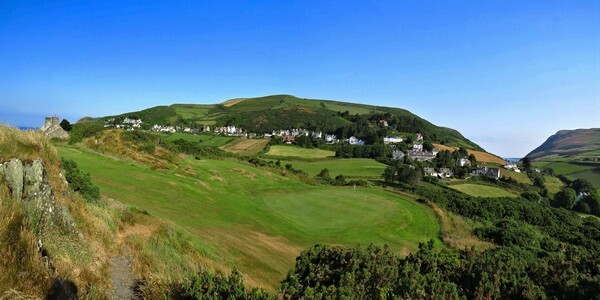 The greens are small and often protected more by the traditional links humps and hollows than by excessive bunkering. There are only three short holes, all of them excellent, and despite the fact that the opening hole qualifies as a par four by just one yard, it is uphill and birdies are most definitely not guaranteed. Castletown has its own Road Hole. Unlike its namesake at St Andrews, where the road is very much a playing hazard, at Castletown’s fifth, the road marks the out of bounds line between the fairway and the beautiful sandy cove around which the hole is set. 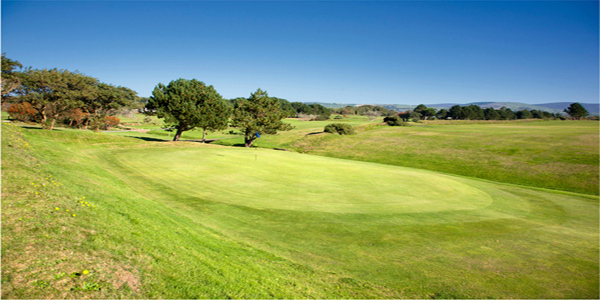 At more than 400 yards, the hole needs little more protection than the constant threat of the beach, the gorse on the left and the natural shaping of the fairway. One lone bunker threatens the tee shot and one more spreads itself across the entrance to the green, but well short of the putting surface. The other hole which is always worth a serious post-mortem over a few drinks is the 17th – all 432 yards of it along the top of the cliff. Over the last few million years, the rain, wind and sea have bitten a chunk out of the fairway that nature intended for this hole. Now, from the back tee, the carry is not far short of 200 yards over the frothing water. There is little room for the less adventurous so no-one is forced to thrash balls into the ocean, but the challenge is hard to resist. In 2017, golfers will see the new 18th hole in operation. This is an absolute classic in the making with one of the most dramatic finishes to any course in the British Isles. 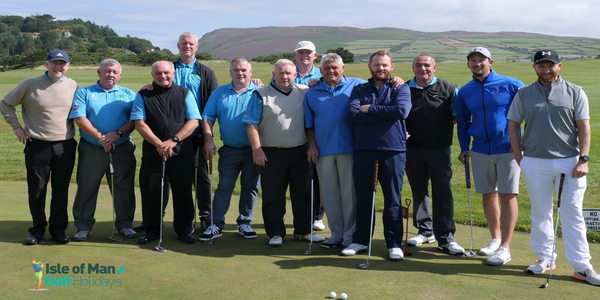 The course is complimented with the fantastic services of Pro Charlie Simpson and a very hospitable steward, Will Halsall who knows a thing or two about wine. The All Island ‘TEE TEE’ Ticket! – 8 Courses for only £199 – Take the Challenge! Let’s start your Golf Holiday right now! I would like to receive special offers by email (please tick). Photo credits Richard Power, Linda Jackson, Mary Davies.